I use this calendar daily. I have for 30 years. keeps me organized. I BUY THIS GIANT CALENDAR FOR EACH YEAR. 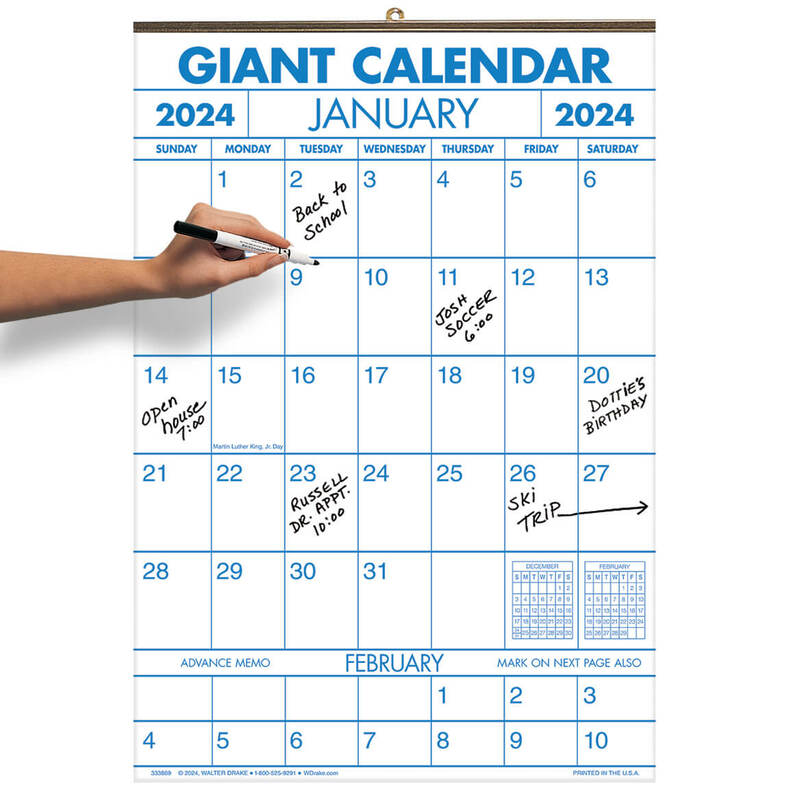 THE "GIANT CALENDAR" IS REALLY HANDY FOR NOTING DOWN IMPORTANT DATES, HOLIDAYS, ETC. SPACES ARE BIG ENOUGH TO REALLY WRITE ON. ALSO GREAT THAT THE CALENDAR RUNS TWO YEARS, SO I HAVE TO BUY A NEW ONE ONLY WHEN TWO YEARS ARE UP. thanks for the two year calendars. At my age I NEED the larger squares so that I can write what I need to remind me of things. I purchased these for my daughter, daughter-in-law, and myself. The large blocks on each day make writing in appointments very easy. Yes, everyone uses their phones now-a-days, but having one place in the house where everyone can see what is going on and what to plan for, is great. I wouldn't be without one! Great calendars. Get them every year. Use this daily for all family appointments. I use this for events that happen each day...child breaks an arm, pulls a tooth, is sick, stays at a friend's house. Appts are listed along with bdays. I've referred to previous years calendars to verify events. I am very please with my large 2 yr. calender. It is easy to see & I can write all my appointments on the dates. It help me to remember all my appointments.I love it. I love the calendars AND I have next years ready when 2019 gets here. colors for the two of us so it draws attn to whomever has something that day. I'm so glad DRAKE offers them and at the pricing it does. i order this calendar for my desk area and it work out just fine for me.will be ordering more soon. I have been using the 1-yr. or 2-yr. Giant Calendar for decades and I've saved them all. My past calendars are GREAT reference tools. I put on the wall and I can write in the daily boxes so I can see what I have to do that day. It is easy to see the dates. I love it very much... This is My Favorite Calendar. Each date has a large enough square to write all my appointments and "to do" items. Been buying these calendars for a number of years now and will continue to do so. big enough to write everything I need. other calender's just don't have enough room. and as I age, easier to read. I like these big calendars because I can see from across the room if anything is scheduled like kids want to use my car for an event. I fold and save then to check on when I need to be sure something did happen. And I like the idea of a reminder page in the fall to order for the next year. The 2019 I got with the 2018 is nice to have on hand to makes note ahead. I buy these on a regular basis! I use these to post in my classroom It is big enough for students, and myself, to see at a distance. Have a large family and I put each person's schedule in a different color. I can glance at the calendar and see how many events are scheduled for one day by the number of different colors written on a day. There have been as many as 5 events in a day and there is room to note them on any day. Helpful for keeping up with appointments! Older persons have lots of physician appointments so this is helpful as a reminder. 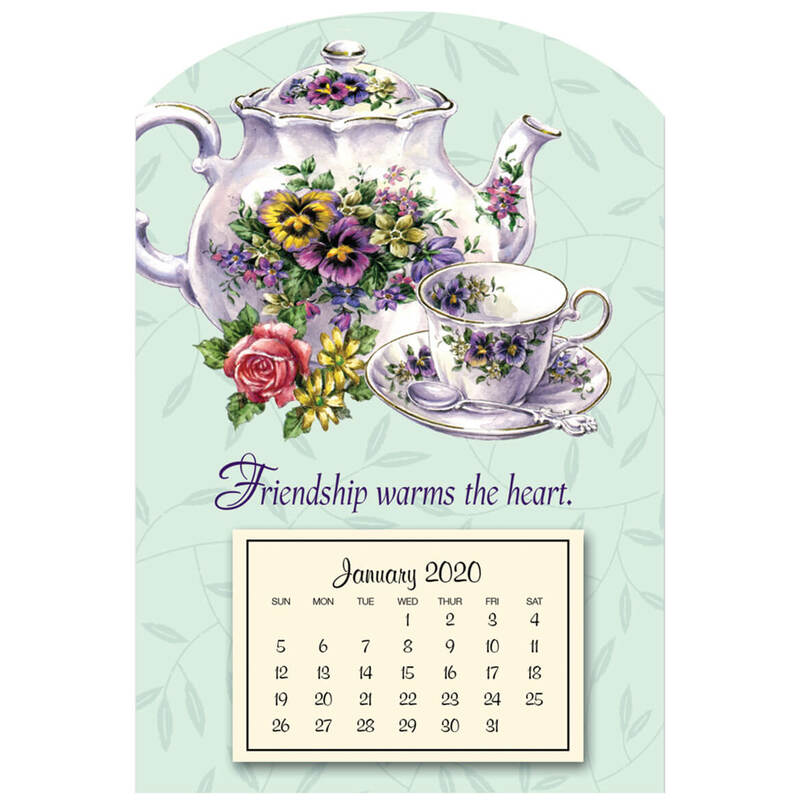 I get this calendar for my 90 yr old mom, so she can see from afar her appointments and outings. We would be totally lost without this! I purchase this calendar either yearly or every other year! I just love it! I hang it on the wall in my bedroom and because I have so many appointments, its convient for me to see and larrge enough to write in! My sister saw mine and loved it so I now buy her one as well ! My wife loves this calendar. There is plenty of room to note appointments, birthdays and other events. I have been getting this style calendar for over 20 years. I like them because it shows the first two weeks of the next month at the bottom of the page. This is a BIG help with birthdays, anniversaries and appointments. I also get the Junior calendars for work, my kids and a couple of friends. We all get alot of use out of these calendars!!! NICE BIG BLOCKS TO WRITE APPOINTMENTS IN. Great calendar, lots of room to write! room to write if ya have more than one appointment in one day, room for birthdays and any other social appointments,wonderful, wont be missing anymore appointments. I have purchased this calendar for several years. It is easy to write in the large squares for marking special events. It fits great inside my kitchen cupboard door. I will buy one every year. Make notes on important days as reminders. Can easily be seen at a glance. I love this calendar. I hung it next to the phone where we make all of our appointments. There is plenty of room to write all the information you need for all your appointments and future plans. I wish I had bought this years ago. My sister with all the children doesn't know it yet but she is getting one for Christmas! 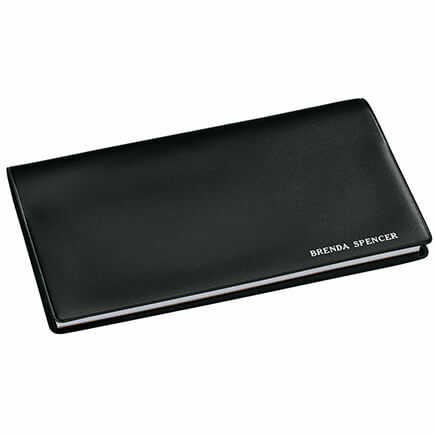 perfect for not forgetting future appointments and commitments. Love the fact that we can mark things months ahead in a very easy format. I like the calendars because the date boxes are very large to write alot of info in them. I use this calendar for everything i need to remember. The only calendar I ever use! I have used these giant calendars since 1999. There is enough room to keep track of all the activities of my 3 sons. (I color code to help keep track of which kid must be where, when.) My husband started using them in the office to keep track of his appointments during tax season, too. We love them! Yes, we would purchase the calendar again & again! because we can make notes every day, the space provided is great. Nothing negative about it. I love getting my large calendar from Walter Drake!!! The squares are big, for birthdays, appointments, parties! Each square is large enough for multiple events, phone numbers. Highly recommend, plus if you get the two year set, you have a place to right all the important times for events ahead of time. Very useful near the entrance/exit of my home. Can always see what is coming up and be ready or at least knowledgeable for upcoming events. Also got this for another family member who just loves it as much. it is great for all your appointments and special tv programs coming up so you can tape them.The extra year is great too. I have been ordering this particular calendar from Walter Drake since the 1960s when I lived on the farm. It is an awesome addition to my daily life and I couldn't live without it. I started buying the decorated ones as gifts and everyone loves getting them. Mine is indispensable! Don't ever discontinue this calendar!!! This is the greatest calendar made!! I have been using this giant calendar for decades. Everyone knows what should be happening and when with just a glance at BIG BERTHA on the wall. It is so convenient and the housekeeper knows when to expect service people and the like. It's just a great calendar and a great idea. Don't stop offering this calendar!! I add all the family's birthdays and anniversaries then give as gifts. It's nice to keep track of special days. Only one that my wife and I will use. To keep track of appointments and important events. I purchase the two year calendar every two years, have done so for many years. It works very well for me! They make a great gift too! This is absolutely way too cool! I love it so much and it’s good for two years long....woohoo!! Found these when Amex quit making their calendar, have been using them ever since, two years at a time! Great large spaces for keeping a family organized! My Mother is always looking for a large calendar that she can hang on her wall and write down important doctor's appointments and such. This appears to be the best value for what she needs. love this calendar for all appts. To help my elderly parents out. They are large enough to help them to read and keep track of their time day by day. I have purchased this item before and was very satisfied. My mom is elderly and has loved these for years. I need to stay organized and thought this was a good idea and a way to plan ahead. Use these EVERY DAY for the past 40 years! The ability to see and notate special events on the calendar in a large readable square. Plus being able to see the next 2 weeks of the new month without having to flip the current month to see the new month. So I would have a year in advance for dentist etc. appointments that are booked one year in advance. It is a two year calendar and large date blocks make the calendar very useful. Squares large enough to write appointments in. Easy to read across room. We've been using these calendars for years. Hands down the best calendar ever! Because Bob uses one of these every 2 years. love this calendar its big for me to see and make notes on it. I love these calendars, I buy them every year, they're big and easy to write on, this year I bought my brother one. Love this calendar, helps me keep all my appointments and special occasions in plain site so I don't forget anything. I really need this calendar, otherwise I would have post it notes covering my walls. I love having a space to write everything for quick reference! It is lots of room to write important things on. Work schedule calendar for my daughter. I like Giant Calendar so i CAN remember all my appointments, . I have purchased a large wall calendar for years to record family schedule. I have a 1 year 2018 Calendar currently. Like this Calendar. I wanted to get a 2 year Calendar for 2019 & 2020. Have to keep up with appointments and activities of 7 people. so we can write down important appts. Easy for my grandma to set get appointments. I like the large space to write on each day. Getting the two year I can put everyones birthday down ahead of time. I absolutely love this calendar and always buy the 2 year offer. The giant size gives me enough room to write in what I need to and also enough room to see what is written on it!!! Great size to keep many appointments written on. I buy these for someone that needs the larger squares. I needed to replace my expiring one. I buy these every 2 years. They are great for our scheduling. Have purchased for relatives a few years now. They love them and look forward to getting regularly. Is this 2 year calendar for 2017 and 2018? BEST ANSWER: Thank you for your question. This is for 2017 and 2018. We hope this information will be of help to you. Is 1 year Large Calender for year 2014 or 2015? The one you advertised for $6.99. BEST ANSWER: Thank you for your question. This calendar is for year 2015. We hope this information will be of help to you. Is this calendar for 2015 and2016? BEST ANSWER: Yes, both years are covered! Actually it's two separate calendars! Buying them this way makes it possible for me to be able to put notes on the correct dates, even for next year! When I bought this item in 2013, I got two calenders - one for 2014 and one for 2015. I found this to be more convenient than one thicker calender for two years. Yes. If you purchase the calendar now (Dec. 2014) it should be for calendar years 2015 and 2016. BEST ANSWER: Well when I ordered mine in March of 2015, it was for 2015 & 2016. However, I had to call in my order and have the person there find out for me. Since it is so late in the year my guess would be 2017 & 2018 but that is a guess. However 2016 is shown in the picture. Wish I could help more. Thank you for your question. They are currently for 2017-2018. We hope this information will be of help to you. I have 2015 & 2016. Hope that answers your question. What is the size of the Giant Calandar? what size is this calendar? BEST ANSWER: Thank you for your question. The calendar is 14 1/4" x 21 3/4". We hope this information will be of help to you. Is this calendar for 2019 & 2020? BEST ANSWER: Thank you for your question. The calendar is 2019 - 2020. We hope this information will be of help to you.